Looking for a slightly licorice-like flavor? Star anise or anise seed provide a similar flavor in recipes but are actually two very different plants. The difference between anise and star anise encompass their growing locations, part of plant and traditions of use. One is a western plant and the other eastern, but that is only part of the distinction between these two intense flavorings. A description of anise and star anise differences will reveal their unique origins and how to use these interesting spices. The pungent flavor of anise adds interest and regional significance to many dishes. Are star anise and anise the same? Not only are they from completely different regions and growing climates, but the plants are very distinct. One stems from an herbaceous plant related to parsley while the other is a 65-foot (20 m.) tall tree. The herb anise (Pimpinella anisum) is from the Mediterranean region. 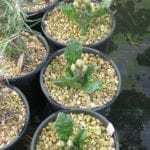 Its botanical family is Apiaceae. The plant produces umbels of starry white blooms that develop into the flavored seeds. By contrast, star anise (Illicium verum) is from China and its flavoring agent is contained in the star-shaped fruits. Both seasonings contain anethole, the licorice flavoring found in minor amounts in other plants such as fennel and caraway. The major culinary difference between anise and star anise is that anise seed is potent, with an almost spicy flavor, while star anise is subtly milder. They can be used interchangeably in recipes, but amounts must be adjusted to accommodate the mildness of the Asian ingredient. Star anise is used much like a dried cinnamon stick. Think of it as a pod that you add to dishes and then scoop out prior to eating. The fruit is actually a schizocarp, an 8-chambered fruit with each containing a seed. It is not the seed that contains the flavor but the pericarp. During cooking, the anethole compounds are released to scent and flavor the dish. It can also be ground and added to recipes. 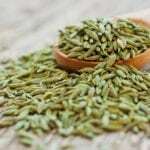 Anise seed is normally used ground but can be purchased whole. In cases where the seasoning is removed before serving, star anise is easier to use because it is at least one inch across (2.5 cm.) while anise seeds are tiny and can be difficult to remove unless wrapped in a sachet. Star anise is notable for its role in Chinese five spice seasoning. Along with the star anise are fennel, cloves, cinnamon and Szechuan pepper. This potent flavoring is often found in Asian recipes. The spice may also be part of Garam Masala, a primarily Indian seasoning. The spice translates well in sweet desserts like baked apples or pumpkin pie. Anise is traditionally used in anisettes such as Sambuca, Ouzo, Pernod and Raki. These liqueurs were used as digestives after a meal. Anise seed is part of many Italian baked goods including biscotti. In savory dishes it may be found in sausages or even some pasta sauces.